Note from the author: I would like to thank Justine Schaeffer, Naturalist/Director at the Benjamin Banneker Historical Park and Museum for reading a draft of this blog and correcting several errors. Figure 1. 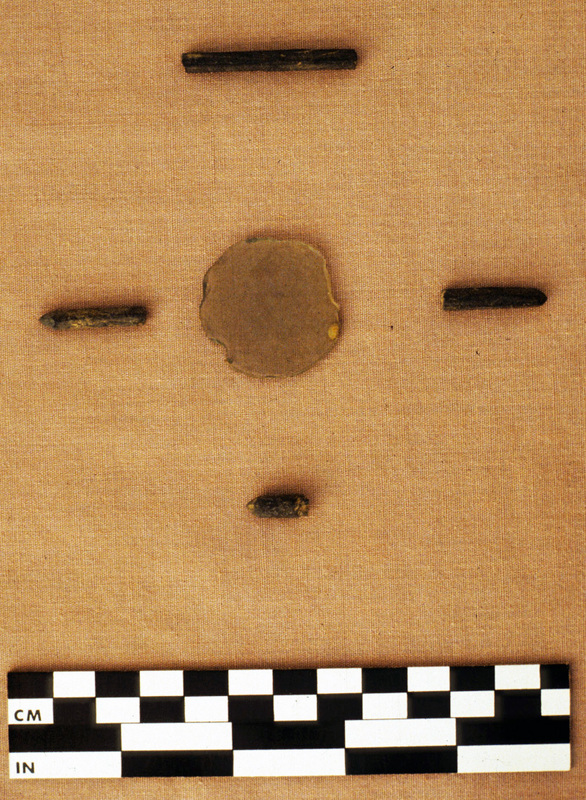 Ground glass lens and slate pencil fragments recovered during excavations of the Banneker homestead. Photograph courtesy of Maryland Archaeological Conservation Laboratory. 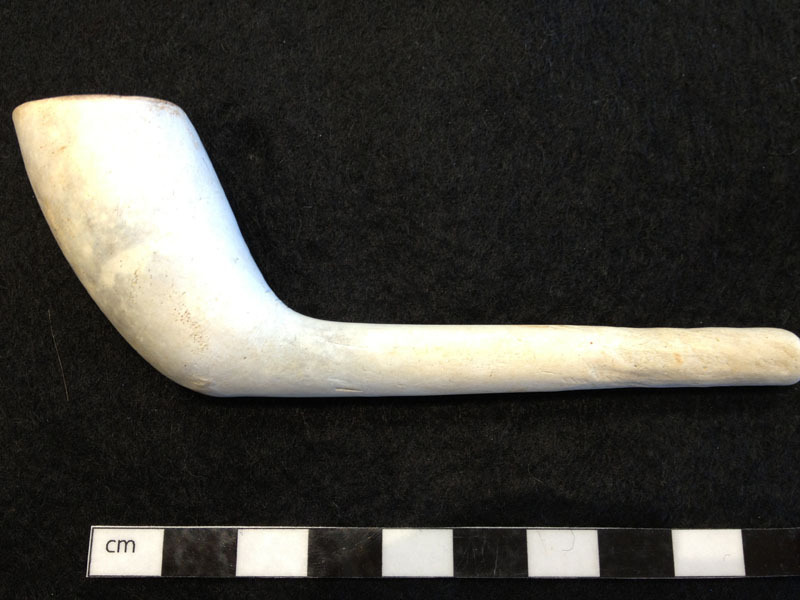 Sometimes artifacts that aren’t all that impressive in appearance turn out to have really interesting histories. The circular fragment of glass in Figure 1 is a ground lens from a telescope or similar optical instrument. The objects surrounding the lens are slate pencils, used for marking on slate tablets. What makes these artifacts notable is that they were excavated from the eighteenth-century home of Benjamin Banneker (Hurry 2002). A self-taught astronomer and mathematician, Banneker is known as America’s first African-American man of science. He was born in 1731 to free parents in Baltimore County, Maryland and grew up on a small farm in present-day Oella (18BA282).